You produce some of the finest wine in the world. Let’s ensure you get the credit you deserve. 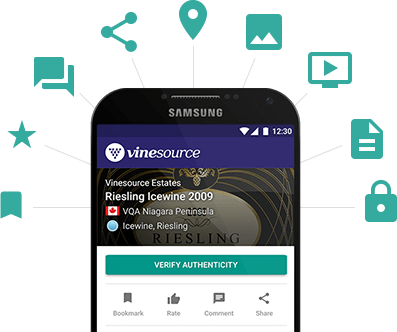 Vinesource is wine anti-counterfeiting, customer engagement and analytics. Experts in the wine industry estimate that 20% of wine sold worldwide is counterfeit. This is why we created Vinesource working along side wineries and associations, big and small. We deliver solutions driven by the wine industry’s needs. 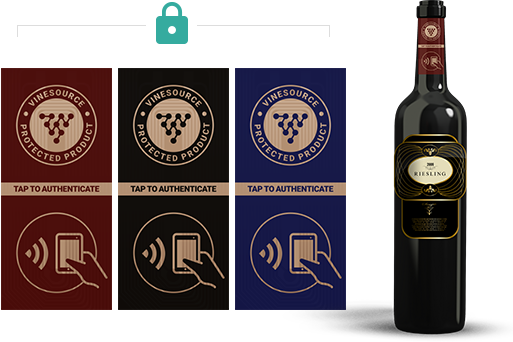 Anti-counterfeiting solutions for wine products that leverage the power of NFC and server side encryption. Without getting too nerdy we use cryptographic standards to securely transmit data and prevent cloning of each and every uniquely identified tag. 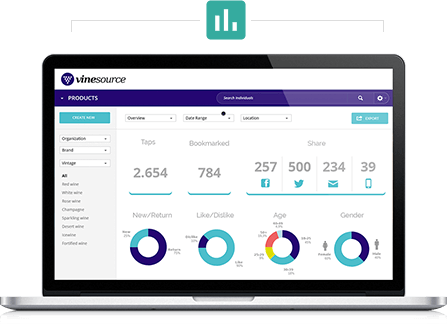 Wine protection, Brand protection and People protection is what Vinesource provides. With just a tap and no need for an app, your customers can begin the journey into all that your brand has to offer. Whether you choose to share basic information like tasting notes, location and promotions or step it up to provide video, loyalty rewards, recipes and more. Your wine bottles have the ability to deliver personal, adaptive and engaging content that is ever changeable before, during and long after final purchase. Each tap reveals a wealth of knowledge. With a deeper understanding of the 5 W’s (who, what, where, when, why) you’ll have the information you need to engage more deeply with your customers. Social media tracking and demographics gives you clarity into how your brand is perceived while location knowledge, allows you to be sure your product is where you expect it to be. or click the button below and we’ll call you. Working with The Wine Council of Ontario. The Ontario Ministry of Agriculture & Food, and the Ministry of Rural Affairs, have provided funding under theGrowing Forward 2 initiative, a federal-provincial-territorial cost-shared initiative.